**Columbia AisleMaster Airline Transfer Chair from healthproductsforyou. Price: $2300.00. Discount: 20%. Categories: Health, Mobility and Disability, Evacuation Chair, Sponsored. Deal Rating: 4.8 Stars out of 5. Store Rating: 5 Stars out of 5. Deal Recommendation: Recommended. Available Until: Limited Quantity. 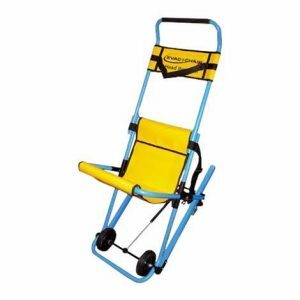 Thoughts: Columbia AisleMaster Airline Transfer Chair has an innovative, compact, mid-wheel turning design, deadman brake and lifting handles, that combine ease of use with safety and functionality. It is a premier aisle boarding chair. AisleMaster 13” Wide Wheel Track Chair offers all the same great features and an extra narrow wheel track for use in smaller commercial/regional jets with narrower aisles. **Evac Chair 700H IBEX Tran Seat Evacuation Chair from healthproductsforyou. Price: $2250.00. Discount: 40%. Categories: Health, Mobility and Disability, Evacuation Chair, Sponsored. Deal Rating: 5 Stars out of 5. Store Rating: 5 Stars out of 5. Deal Recommendation: Recommended. Available Until: Limited Quantity. Thoughts: Evac Chair 700H IBEX Tran Seat Evacuation Chair is designed to safely descend and ascend stairs without carrying or heavy lifting. It reduces physical demands on operators and reduces the risk of muscle strain, hernia and back pain. IBEX 700H proves to be ideal for commercial, home and professional use. It is well suited to spiral stairs and where space is restricted. **Columbia SkyMaster Folding Airline Transfer Chair from healthproductsforyou. Price: $2255.75. Discount: 40%. Categories: Health, Mobility and Disability, Evacuation Chair, Sponsored. Deal Rating: 5 Stars out of 5. Store Rating: 5 Stars out of 5. Deal Recommendation: Recommended. Available Until: Limited Quantity. Thoughts: Columbia SkyMaster Folding Airline Transfer Chair is a lightweight, compact transfer chair that folds easily for an onboard storage in commercial aircraft and the ABS plastic meets FAR requirements. The rear casters allows for easy maneuvering while security belts and locking wheels ensure safety while onboard an aircraft. It is designed to meet the 14 CFR Part 382 for an onboard wheelchair. **Evac Chair 300H Standard Evacuation Chair from healthproductsforyou. Price: $1495.00. Discount: 40%. Categories: Health, Mobility and Disability, Evacuation Chair, Sponsored. Deal Rating: 5 Stars out of 5. Store Rating: 5 Stars out of 5. Deal Recommendation: Recommended. Available Until: Limited Quantity. Thoughts: Evac Chair 300H Standard Evacuation Chair allows evacuation of less mobile persons in emergency situations down a flight of stairs. It is intuitive so anyone can use it, even without training or instruction. **Evac Chair 600H Evacuation Chair from healthproductsforyou. Price: $1795.00. Discount: 40%. Categories: Health, Mobility and Disability, Evacuation Chair, Sponsored. Deal Rating: 5 Stars out of 5. Store Rating: 5 Stars out of 5. Deal Recommendation: Recommended. Available Until: Limited Quantity. Thoughts: Evac Chair 600H Evacuation Chair is specially designed with two extra handles for a two person operation in locations with difficult access, including upwards evacuation. It comes with blue textured finish with contrasting yellow hammock, and extra front and rear lift handles. 600H Evacuation Chair has dual position seating providing optimal comfort and safety. **Evac Chair 500H Evacuation Chair from healthproductsforyou. Price: $2195.00. Discount: 30%. Categories: Health, Mobility and Disability, Evacuation Chair, Sponsored. Deal Rating: 4.9 Stars out of 5. Store Rating: 5 Stars out of 5. Deal Recommendation: Recommended. Available Until: Limited Quantity. Thoughts: Evac Chair 500H Evacuation Chair is a two person operation enhanced chair with an increased passenger payload capacity of 500 lbs. It is for use on steep stairs up to 45 degrees. This chair can also be used as a single person operation chair for payloads up to 400lbs. 500H Evacuation Chair has dual position seating providing optimal comfort and safety for the patients. 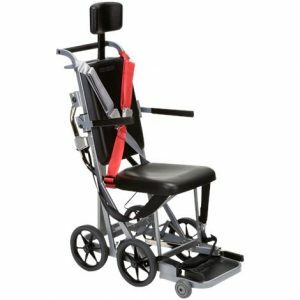 **Pride Jazzy Elite 14 Power Chair from healthproductsforyou. Price: $3529.00. Discount: $1550.00. Categories: Health, Mobility, Power Chair, Sponsored. Deal Rating: 4.8 Stars out of 5. Store Rating: 5 Stars out of 5. Deal Recommendation: Recommended. Available Until: Limited Quantity. Thoughts: Pride Jazzy Elite 14 Power Chair is designed for excellent indoor maneuverability and outstanding outdoor capability. The Jazzy Elite 14 features 14″ drive wheels for enhanced outdoor performance combined with a front-wheel drive design to provide tight turns around corners. Large front wheels offer extra absorption over obstacles for superb climbing capabilities along with front anti-tip wheels for transitioning over grade changes and handling various terrains with ease. **Pride Jazzy Elite ES Portable Power Chair from healthproductsforyou. Price: $3529.00. Discount: $1550.00. Categories: Health, Mobility, Power Chair, Sponsored. Deal Rating: 4.8 Stars out of 5. Store Rating: 5 Stars out of 5. Deal Recommendation: Recommended. Available Until: Limited Quantity. Thoughts: Pride Jazzy Elite ES Portable Power Chair delivers a reliable blend of power, performance and portability. Jazzy Elite ES Portable disassembles into 5 convenient pieces for your active lifestyle. The in-line, front-wheel drive design allows tight turns around corners, with large front wheels for extra absorption over obstacles. With superb climbing capabilities and front anti-tip wheels, the Jazzy Elite ES Portable transitions over grade changes smoothly and handles various terrains with ease. **Pride Jazzy Elite ES Power Chair from healthproductsforyou. Price: $3529.00. Discount: $1550.00. Categories: Health, Mobility, Power Chair, Sponsored. Deal Rating: 4.8 Stars out of 5. Store Rating: 5 Stars out of 5. Deal Recommendation: Recommended. Available Until: Limited Quantity. Thoughts: Pride Jazzy Elite ES Power Chair delivers a reliable blend of power, performance and style for your active lifestyle. The in-line, front-wheel drive technology provides tight turns around corners for optimal indoor maneuverability in small spaces and large front wheels for extra absorption over obstacles. With superb climbing capabilities combined with front anti-tip wheels for transitioning over grade changes easily, the Jazzy Elite ES handles various terrains with ease. 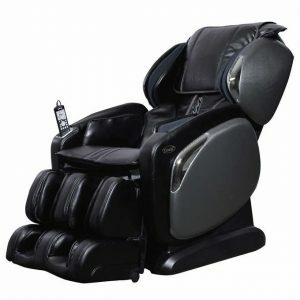 **Pride Jazzy 614 HD Power Chair from healthproductsforyou. Price: $3699.00. Discount: $1600.00. Categories: Health, Mobility, Power Chair, Sponsored. Deal Rating: 4.8 Stars out of 5. Store Rating: 5 Stars out of 5. Deal Recommendation: Recommended. Available Until: Limited Quantity. 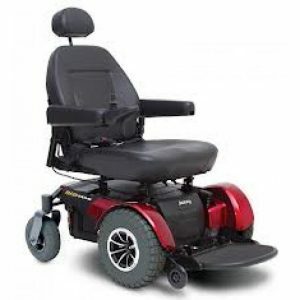 Thoughts: Pride Jazzy 614 HD Power Chair features patented Mid-wheel 6 technology and Active-Trac ATX Suspension for an outstanding level of performance, maneuverability and tight turning radius, all in one heavy-duty package. Independent front casters raise and lower as needed to compensate instantly for changes in terrain, making transitions easy. The Jazzy 614 HD features dual enhanced in-line motors for greater efficiency, torque, range and performance. **Pride Jazzy Elite HD Power Chair from healthproductsforyou. Price: $3699.00. Discount: $1600.00. Categories: Health, Mobility, Power Chair, Sponsored. Deal Rating: 4.8 Stars out of 5. Store Rating: 5 Stars out of 5. Deal Recommendation: Recommended. Available Until: Limited Quantity. Thoughts: Pride Jazzy Elite HD Power Chair features two-motor, front-wheel drive technology and heavy-duty construction. The Jazzy Elite HD features 14″ drive wheels for enhanced outdoor performance combined with a front-wheel drive design to provide tight turns for optimal indoor maneuverability in small spaces. Large front wheels add extra absorption for superb climbing capabilities and combine with front antitip wheels for handling various terrains with ease. 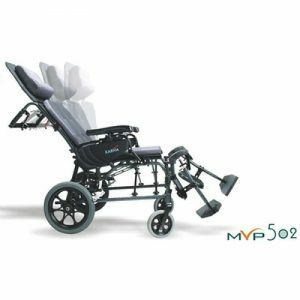 **Pride Jazzy 600 ES Power Chair from healthproductsforyou. Price: $3699.00. Discount: $1600.00. Categories: Health, Mobility, Power Chair, Sponsored. Deal Rating: 4.8 Stars out of 5. Store Rating: 5 Stars out of 5. Deal Recommendation: Recommended. Available Until: Limited Quantity. Thoughts: Pride Jazzy 600 ES Power Chair provides excellent performance and outstanding stability. Its compact design and standard Active-Trac ATX Suspension allow it to excel indoors and out, making it a superb, all-around power chair choice. Mid-wheel 6 technology incorporates ATX Suspension for extra stability with independent front casters that raise and lower as needed to compensate instantly for changes in terrain and ease of transitions. **Save 25% Off Gaiam Balance Ball Stools & Get Free Shipping from gaiam.com. Price: $75+. Discount: 25% Off. Categories: Health, Sponsored, Balance Chair, Ball Stool. Deal Rating: 5 Stars out of 5. Store Rating: 5 Stars out of 5. Deal Recommendation: recommended. Available Until: not specified. Thoughts: Save 25% Off Gaiam Balance Ball Stools & Get Free Shipping On Orders Over $75.